Have you ever wondered what will happen to your property when you pass away? It is something that most of us will likely consider, although in most cases, often not until we are forced to. The idea of thinking about how our property will be organised when we pass away may seem rather morbid to many people. However, the reality is that we will all pass away at some point. Therefor it is important that we understand what the rules are for what we can do with our property, when we do. Here we provide a guide on Inheritance rules in the UK, concerning what happens when you make a Will, and the consequences that follow when you don’t. What are the options for Inheritance planning? When people look at the rules governing Inheritance they are often confronted with unfamiliar language: testate succession, intestate succession etc. In reality the word ‘succession’refers to what is to happen to your property (often referred to as your ‘estate’) when you pass away. Depending on how well you have planned your estate will fall into one of two categories: (i) testate or; (ii) intestate. If an individual is deemed to have passed away ‘testate’it means that they drafted a Will before they died, setting out what they wanted to be done with their ‘estate’. As the person that will ultimately sign the Will, sometimes known as the ‘testator’, its creation must be your decision. If you have been pressured to create a Will or to make a certain kind of provision in it by someone else, it will not be treated as valid by the courts. In order for your wishes to be carried out effectively, everything that you want to be done with your estate must be clearly written down. If you fail to account for some of your property in your Will, this may lead to difficulties amongst your surviving family members. The courts will need to be satisfied that in signing the Will, you understood what this would mean for your property. In practice this will involve your, and a Witnesses’signing the Will. 2. What is included in a Will? Over the course of your lifetime you are likely to amass a considerable collection of different kinds of property: your home, a car, some savings, furnishings, antiques, collectibles, items of sentimental value etc. All of this property should be accounted for and mentioned in your Will i.e. you should make very clear who is to be given what part of your estate when you pass away. It is also not uncommon that some people have been affiliated to a business in their lifetime e.g. have shares in a company, or are perhaps the owner of a small business. If you are in this situation, you would be well advised to set out very clearly what you want to be done with this when you pass away: is your business interest to be sold and the value given to a member(s) of your family, or is someone else to take over your interest? Your Will must also identify someone that you have chosen to carry out your wishes. This person is called an 'Executor', and they will be legally responsible for administering the terms of your Will. You should take special care in selecting an Executor. The role is one of responsibility and will involve their handling of all of your financial affairs. It should only be given to someone that understands what will be required of them, and is prepared to assume this role. 3. Who can I ask to be my Executor? You are entitled to decide who you wish to become your Executor. Provided that the person that you have in mind is aged over 18 years old, then anyone can act as your Executor. In most cases it is advisable to appoint at least two people to act in this role, incase one of them is for some reason unable to perform their duties. It is not uncommon for family members e.g. children or a spouse to be selected as an Executor. However you should consider whether or not they will be comfortable with being held legally responsible for administering what may be a complicated estate: you should discuss this with them before identifying them as such in your Will. An alternative is to appoint a professional to act as your Executor (a solicitor, accountant or even a bank). It can be helpful to appoint someone who is familiar with the process of administering an estate, and who understands how to discharge the legal responsibilities that they owe to your estate, and ultimately to the beneficiaries of your Will. It should be borne in mind however that where professionals are appointed as an Executor, on completion of their duties they will need to be paid. If you are considering this option you should be very clear on how much a professional advisor will charge for their services, and how they will look to have their fees paid from your estate. 4. Is there anything that cannot be done with a Will? Generally speaking, if you choose to write a Will you are entitled to distribute your estate in any way that you see fit. However, there are certain restrictions on your ability to do so. It is not uncommon that people consider ‘disinheriting’or leaving someone out of their Will. If you are considering doing so, you should be aware that there are rules that prevent certain family members e.g. spouse, children etc. from being left out of your Will. This is because it has been decided, often by Parliament in drafting legislation, that certain members of a family unit deserve something from a Will. In Scotland your surviving spouse and children have an automatic legal right to your estate, regardless of the circumstances. This rule does also apply elsewhere in the UK. However if you plan to provide reasoning as to why certain people are excluded from your Will, a court may take this into consideration. The reality of the situation where someone is left out of a Will is not a happy one. In most cases it results in the terms of the Will being challenged in the courts, subjecting already grieving family members to long and costly court action. It is advisable to think very carefully on attempting to disinherit family members. Such a course of action can cause significant damage to family relationships which may not be able to heal. Furthermore, you will not be around to facilitate this. 5. What happens if I die ‘testate’? They will then begin the process of distributing your estate according to the terms of your Will. If someone is described as having died ‘intestate’, this means that they have passed away without having drafted a legally valid Will. If you do not draft a Will before you die, on your passing your estate –the collection of different pieces of your property –will fall into ‘intestacy’. 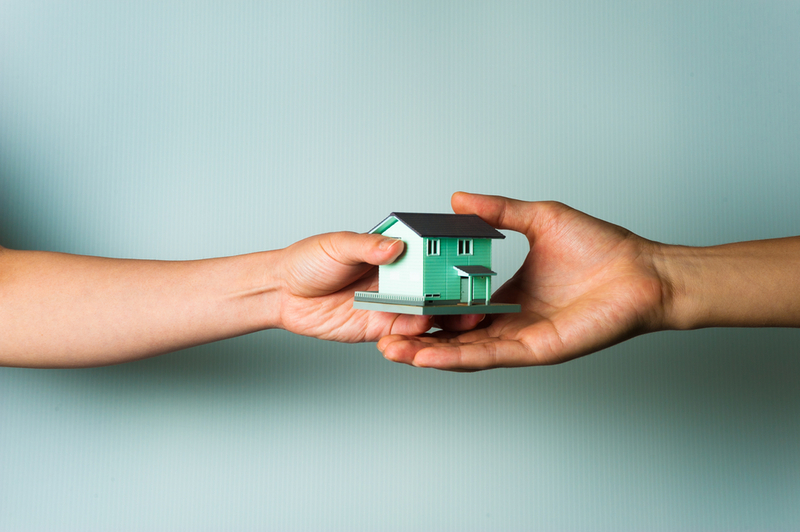 This means that because you have not given any indication as to what you want to be done with your property when you pass away, the courts will step in and distribute your property according to a set of rules set out in The Succession (Scotland) Act 1964. These rules do not have any regard for what you would have wanted to be done with your property. They are designed to be as ‘fair’as possible to your surviving family members. The first job of the courts, on being alerted to someone pass away without a Will under the 1964 Act, is to appoint someone to organise your estate called an ‘Executor Dative’. The crucial point about intestacy is that, because you did not have a Will drafted, the Executor Dative will not be permitted to distribute your property in the way that you may have wishes. Instead, they will be obliged to follow the terms of the 1964 Act, which could leave some members of your family with nothing from your estate. What does the ‘Executor Dative’ do? The job of an Executor Dative is similar to what an Executor would do. Their first priority will be to satisfy any outstanding debts on your estate. It is important to be aware that the presence of outstanding debts on your estate, even in intestacy, may mean that the value of your estate is depleted to the extent that there is nothing left to distribute to your family. Having discharged any financial obligations that your estate owed, the Executor Dative will begin to distribute your estate. A payment of money from your estate. The value of this will depend on whether or not you have any surviving children. Second, the Executor Dative will distribute your property in order to satisfy your surviving spouses right to any money that you have left. This is known as their ‘Legal Rights’, and its value will depend on whether or not you are survived by any children. The last job of an Executor Dative will be to administer the remaining ‘Free Estate’. This is the portion of your estate that remains unaccounted for, after the Prior and Legal Rights of your surviving family members have been satisfied. In the majority of situations, this will involve a payment of money to your family members. However if you are not survived by any family this property, or more accurately, its value will be absorbed by the state. The important point to note in terms of an ‘intestate’estate is that because there is no Will to work from, whatever you would have intended to be done with your property cannot be realised –you did not give any legal indication as to what this was in not drafting a Will. Therefor there is a risk that your family may receive very little from your estate, where you die intestate. If you die without having written a Will, your estate will fall into ‘intestacy’and be administered by an Executor Dative. Nothing in this guide is intended to constitute legal advice and you are strongly advised to seek independent legal advice on matters that affect you.